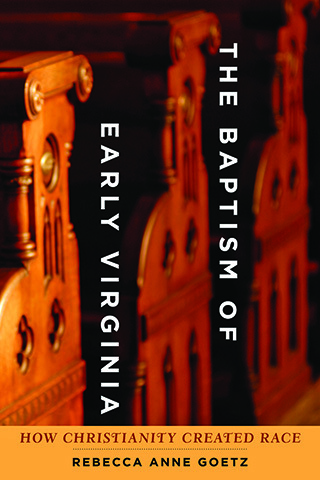 Interested in adopting one of our Southern History titles? Let us know! Email us at textbooks@press.jhu.edu. See our requirements for Exam and Desk copies here. Drawing on an array of textual and visual sources as well as a wide range of modern scholarship on Civil War memory, Robert J. Cook charts the construction of four dominant narratives by the ordinary men and women, as well as the statesmen and generals, who lived through the struggle and its tumultuous aftermath. Written in vigorous prose for a wide audience and designed to inform popular debate on the relevance of the Civil War to the racial politics of modern America, Civil War Memories is required reading for informed Americans today. 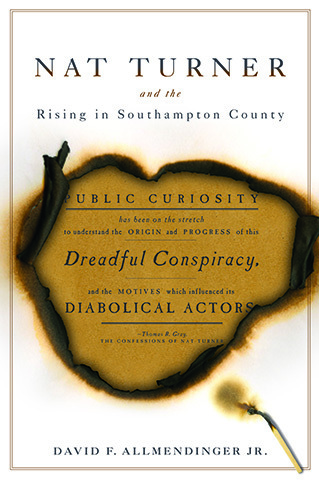 Students of slavery, the Old South, and African American history will find in Nat Turner and the Rising in Southampton County an outstanding example of painstaking research and imaginative family and community history. Drawing upon largely untapped sources, David F. Allmendinger Jr. reconstructs the lives of key individuals who were drawn into the uprising and shows how the history of certain white families and their slaves—reaching back into the eighteenth century—shaped the course of the rebellion. Living Hell presents a stark portrait of the human costs of the Civil War and gives readers a more accurate appreciation of its profound and lasting consequences. Adams examines the sharp contrast between the expectations of recruits versus the realities of communal living, the enormous problems of dirt and exposure, poor diet, malnutrition, and disease. He describes the slaughter produced by close-order combat, the difficulties of cleaning up the battlefields—where tens of thousands of dead and wounded often lay in an area of only a few square miles—and the resulting psychological damage survivors experienced. Plantation Kingdom traces the rise and fall of America’s plantation economy. Written by four renowned historians, the book demonstrates how an international capitalist system rose out of slave labor, indentured servitude, and the mass production of agricultural commodities for world markets. Vast estates continued to exist after emancipation, but tenancy and sharecropping replaced slavery’s work gangs across most of the plantation world. Poverty and forced labor haunted the region well into the twentieth century. Written by three prominent historians of the period, Slavery’s Ghost forces readers to think critically about the way we study the past, the depth of racial prejudice, and how African Americans won and lost their freedom in nineteenth-century America. They ask important and challenging questions: How did slaves and freedpeople respond to the promise and reality of emancipation? How committed were white southerners to the principle of racial subjugation? And in what ways can we best interpret the actions of enslaved and free Americans during slavery and Reconstruction? Collectively, these essays offer fresh approaches to questions of local political power, the determinants of individual choices, and the discourse that shaped and defined the history of black freedom. Planting an Empire explores the social and economic history of the Chesapeake region, revealing a story of two similar but distinct colonies in early America. Linked by the Chesapeake Bay, Virginia and Maryland formed a prosperous and politically important region in British North America before the American Revolution. Yet these "sister" colonies—alike in climate and soil, emphasis on tobacco farming, and use of enslaved labor—eventually followed divergent social and economic paths. Jean B. Russo and J. Elliott Russo review the shared history of these two colonies, examining not only their unsteady origins, the powerful role of tobacco, and the slow development of a settler society but also the economic disparities and political jealousies that divided them. Mulcahy argues that it is useful to view Barbados, Jamaica, and the British Leeward Islands, along with the South Carolina and Georgia Lowcountry, as a single region. United by shared history and economic interest, these territories formed the Greater Caribbean. The plantation system achieved its fullest and harshest manifestation in the Greater Caribbean. Enslaved Africans outnumbered Europeans in all of the affiliated colonies, often by enormous ratios, enabling Africans to maintain more of their traditions, practices, and languages than in other parts of British America, resulting in distinct creole cultures. This volume is an ideal introduction to the complex and fascinating history of colonies too often neglected in standard textbook accounts.